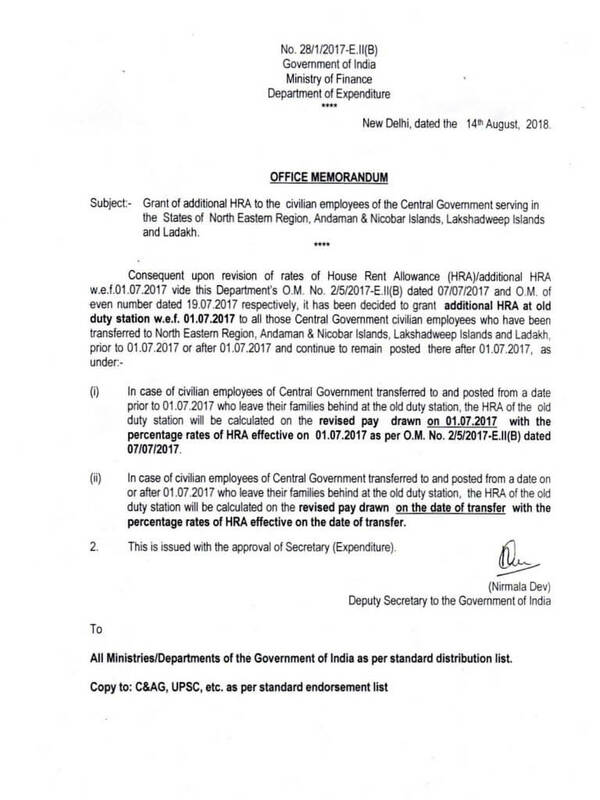 Dated the 14th, August, 2018.
ii) In case of civilian employees of Central Government transferred to and posted from a date on or after 01.07.2017 who leave their families behind at the old duty station, the HRA of the old duty station will be calculated on the revised pay drawn on the date of transfer with the percentage rates of HRA effective on the date of transfer. 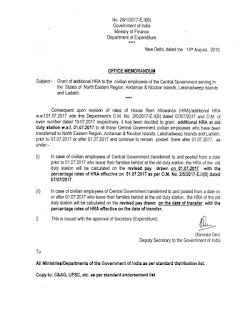 Grant of additional HRA w.e.f. 01.07.2017 at 7th CPC recommendations to the civilian employees of the Central Government serving in the States of North Eastern Region, Andaman & Nicobar Islands, Lakshadweep Islands and Ladakh.